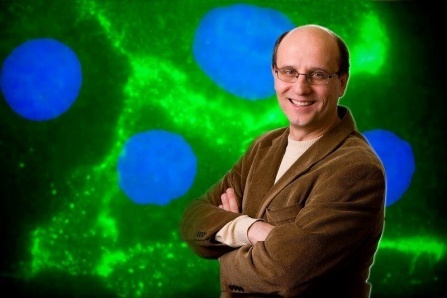 University at Buffalo and Roswell Park Cancer Institute researchers have been awarded a $1.85 million grant to create an interdisciplinary stem cell research training program. Stelios Andreadis, PhD, professor and chair of UB’s Department of Chemical and Biological Engineering, is the grant's principal investigator. Credit: Douglas Levere.